In my library, a lot of what we end up 3D printing comes from Thingiverse. I like Thingiverse models as a great, low-barrier entry point into the world of 3D printing, as most students who get interested in the printers aren’t necessarily ready to sit down and start designing their own models. Sometimes, though, the models they download have flaws that prevent the objects from printing entirely, or create objects that consistently have holes in the same spots or fail at the same points each time. One relatively easy and handy solution I’ve found to this problem is a piece of free software called Netfabb. 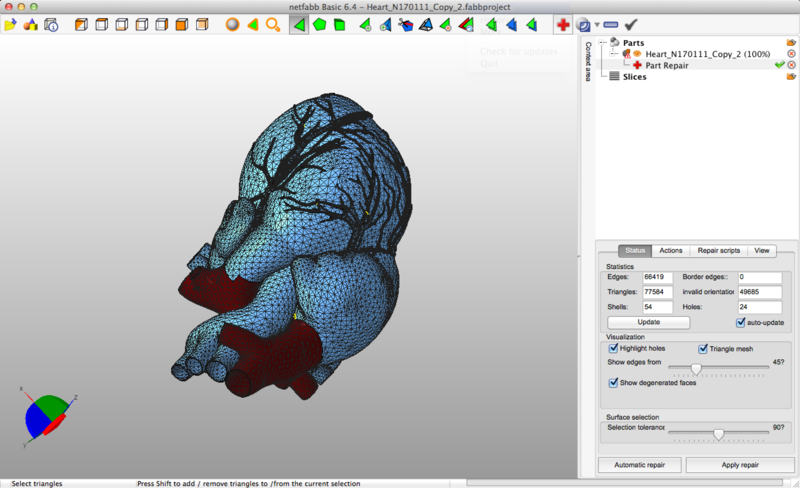 Netfabb is available for Windows, Mac, and Linux, and it has both a free and professional version (Netfabb Basic vs. Netfabb Professional). I’m sure the professional version has some great features missing from the free version, but I’ve been pretty happy with what Netfabb Basic can do. The software has options for both automatic and manual repair of 3D models–additionally, I’ve discovered it’s pretty useful to convert other file format types to STL files. Once you open a model in Netfabb, you can see right away if there are problems with the model, as issues will display in red and there will be a warning symbol in the corner of the window. 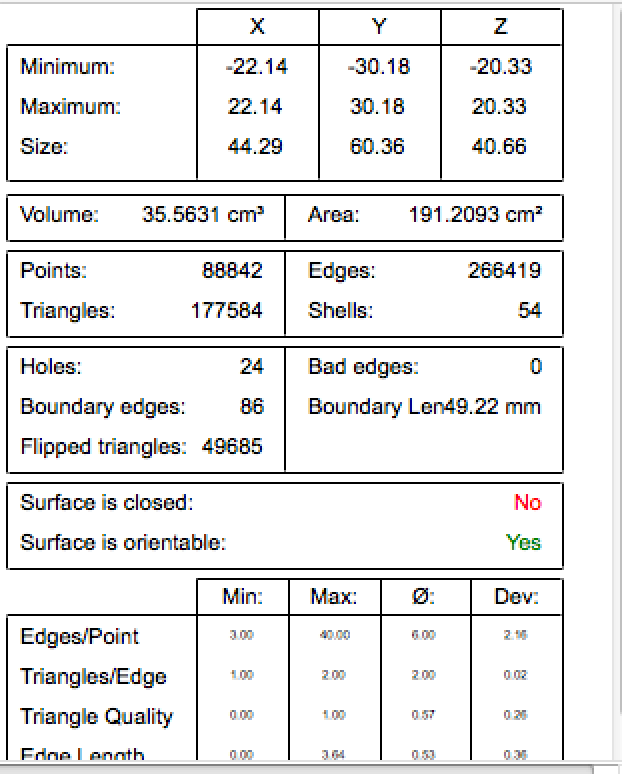 On the menu, you can select to run an analysis on the model to be presented with information about what’s wrong with it. You can then enter repair mode by clicking the button, where you can either select Automatic Repair or make your own manual changes. Once you Apply the repair, you can see whether the warnings and red parts on the model have cleared up, or whether you need to make more changes. Oftentimes, Netfabb seems to work just fine with Automatic Repair, but there are plenty of other options to explore if you find it’s not enough for a particular model. This process has helped me a number of times so far in quickly fixing up models for printing, and it’s easy enough that you don’t need a lot of time or special knowledge to carry it out. I think it’s a great tool for librarians and other educators with 3D printing tacked onto their jobs who don’t necessarily have the special skills–or the time to learn those skills–to do really complex 3D modeling work. It’s also a great option to pass along to patrons. 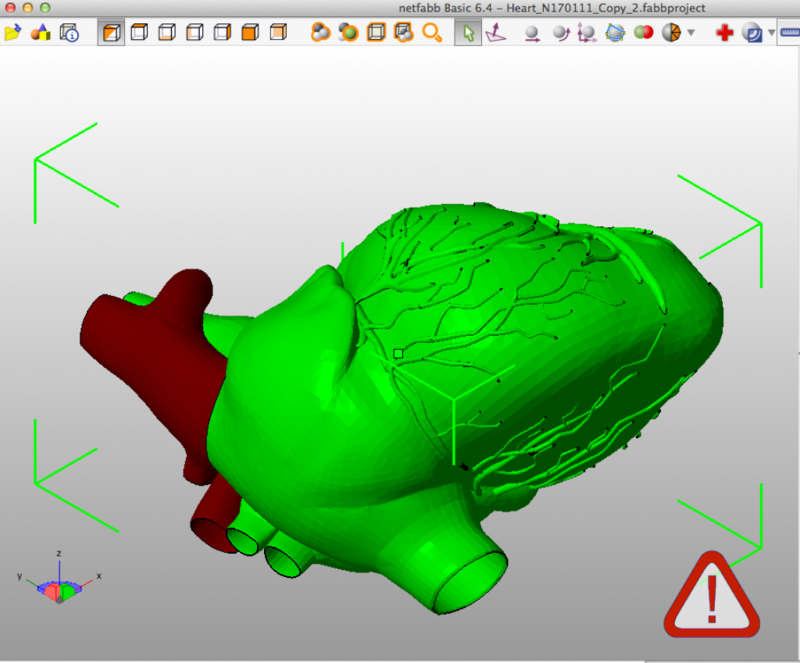 Have you used Netfabb or other 3D printing software to make repairs to models? Is there anything you would recommend? Let us know in the comments below or on Twitter!